In early 2016, the Minnesota Department of Corrections issued its annual inspection report regarding the Winona County Jail. As a result of the inspection, the DOC changed the classification of the jail to a 90-day facility and imposed other restrictions which limits the capacity of the jail. As a result, the Sheriff requested assistance from the National Institute of Corrections – Jails Division. Between September 7th and September 9th, 2016, technical assistance providers from the NIC conducted a Jail & Justice System Assessment. In December of 2017, the Winona County Board created a Jail Advisory Committee to begin the year-long process of evaluating the options regarding the jail. In September of 2018, the DOC ordered that the Winona County Jail “sunset” or close on September 30, 2021. In February of 2019, the Jail Advisory Committee issued its final report with a recommendation that Winona County construct a Class III 365 day facilities. 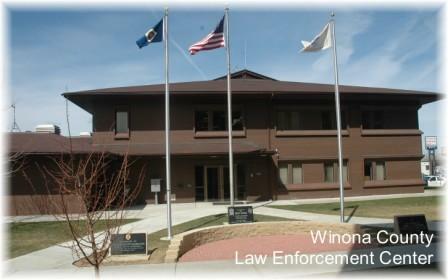 On February 28, 2017, the Jail and Jail Alternatives Committee of the CJCC made a presentation to the Winona County Board to help the Commissioners better understand the steps involved in processing a criminal case, to highlight characteristics of the “superutilizers” of the Winona County Jail, to identify different resources that are consumed as a criminal defendant navigates through the criminal justice system and to determine areas where programming could reduce reliance upon incarceration. Below is a link to that powerpoint and accompanying handout as well as other useful resources regarding the jail issue . Click on the document name to download the document.